The new IDX123 design displays listings in a results column on the left of the screen and the detailed listing data in a larger portion of the screen on the right. The new layout makes it easier for users to browse and compare listings on the same screen because it minimizes the need to toggle between results pages and detailed listing pages. It also feels more natural because we are used to reading from left to right. The new detailed listing view grabs the user’s attention with large images from the get go that are then followed by the listing details. This view also includes integrated Social Sharing functionality that makes it easy for users to share listings via Facebook, Twitter and LinkedIn. 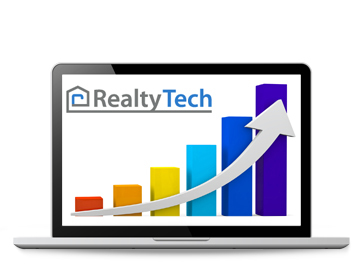 To make the home search process easier, RealtyTech will be launching their Polygonal Map Search in late July 2014. This new search lets users select the area that they would like to see listings in by drawing an outline on the map view. The Polygonal Map Search is a quick and simple way for users to save searches in areas as specific as a street within a neighborhood and receive automated Listing Alert emails when there are updates to the market in these areas. The Polygonal Map Search will be available to RealtyTech Clients who are currently using the IDX123 system at no additional charge.